 When you need to securely shred your personal or business documents in Nashua New Hampshire you have a convenient and fast way to have them properly destroyed, call A1 DATASHRED. Our experienced team of professionals makes the entire process easy for you with just one phone call. We will take the time to explain how our document destruction services work, give you a fair price quote and set up your appointment all on the same call. There is no waiting we are ready to assist you now. We are available to come to your Nashua home or office as soon as tomorrow. We service our customer’s document shredding needs Monday through Friday so setting up your appointment for the best day for you is easy. We are a mobile service that has a fleet of powerful paper shredding trucks that will come to your location to destroy your confidential files. When we arrive you will meet one of our highly trained technicians that will happily do all the work for you even if that means carrying your documents up or down stairs. Your files will be placed into a security bin so they can be protected during the entire process. After your documents have been secured in one of our bins the bin is then rolled to the onsite shredding truck sitting outside. An advanced automated system will lift the bin into the truck and empty your files directly into the industrial shredder and they are immediately destroyed. All of our trucks are equipped with a customer viewing station that works with a closed circuit camera system that will allow you to see your documents going through the commercial shredder as it is happening. With A1 DATASHRED you will have the comfort in knowing that your confidential information has been completely shredded because you can witness it from start to finish. Even with today’s technology businesses are generating more paper and A1 DATASHRED offers two great shredding services to meet any document destruction need for any industry. One-time Shredding – If your firm needs to securely destroy business records intermittently during the year our onetime purge service is what you are looking for. Our purge option allows you to call us for professional onsite document destruction only when you need it. It could be just once or a few times a year, you decide and give us a call and we will come to your businesses location to destroy your company’s files. Scheduled Shredding – Most companies are throwing away paper documents every day. Those documents should never go in the regular trash where anyone could have access to them. A1 DATASHRED will work with you to put together an ongoing destruction program that is right for your company. It starts with us providing you with the right number of security containers to be placed in accessible locations in your office so your staff can dispose of paper records just steps away from their work area. We then come on a regular schedule to empty the security containers and shred the documents. We offer weekly, biweekly, every four weeks or monthly schedules. The residents of Nashua NH have many documents at home that contain their personal information. Putting them in the trash exposes you to possibility of identity thieves going through your garbage and taking papers they can use to steal your identity. Play it safe and shred all of your personal papers. A1 Datashred will come to your home any day your choose Monday through Friday to destroy your private files. We ready to assist you with your document shredding needs so give A1 DATASHRED a call today.